A 1983 graduate of Creighton University, Dr. Calder completed his residency in Physical Medicine & Rehabilitation at the University of Minnesota and became an ABMS Board Certified Physiatrist in 1987. A physiatrist’s training facilitates the development of in-depth knowledge of areas of medicine involving the neuro-musculo-skeletal systems of the human body. Practitioners of Physical Medicine utilize physical modalities such as manipulation, massage and therapeutic exercise in concert with heat, cold, electrical energy and hydrotherapy to diagnose, treat and prevent disease and disability. Emerging therapies inclusive of biologics such as PRP and other cellular based therapeutics are adding expanded range and capability to the armamentarium of therapeutics employed by physiatrists to treat disorders of joints and adjoining ligamentous and muscular structures. Over the past thirty years Dr. Calder has practiced in a variety of settings ranging from hospital based rehabilitation units to private practice environments. 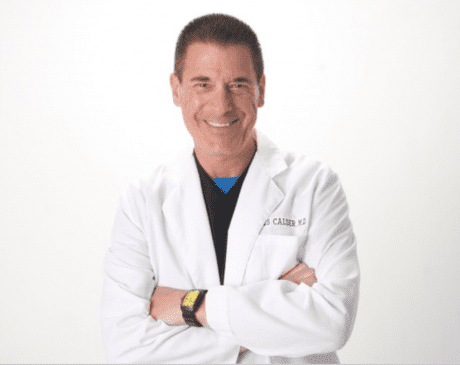 Currently Dr. Calder is involved with the provision of outpatient-based therapeutics within multidisciplinary centers incorporating practitioners with a diverse array of backgrounds and experience.